FANTASTICALLY RARE! LSC 6065 ROYAL BALLET ORIGINAL RCA DISKS Dec-18 10:46 $1,885.00 MW: Trees don't grow to the sky, but in this case they do despite some very nice reissues. I've seen the original pressing go for $5000 recently. A Salvatore Divinity in its Classic Reissue; http://www.high-endaudio.com/SR-DIVINITY.html Unfortunately, the maestro does not indicate a preferred pressing from Classic. There may be 5 different ones. My original solid state Grundman pressing is nice, but bass control and noise floor are not good, so not at the top of my LP heap. AQL: I've owned an original copy myself and while it wasn't the cleanest copy, it was a decent VG. With mold on the cover, I was still able to part with it for $285. It's a nice recording, but in my humble opinion, it's way overpriced. 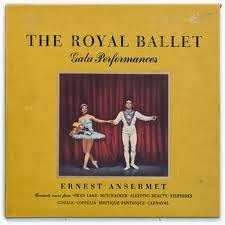 The performances are very nice -- Ansermet always had a way with ballet. I now have the VICS, which doesn't match the full glory of the originals, but it suits me fine for $10. Also available now on CD and can be easily purchased as an Australian Decca Eloquence reissue. 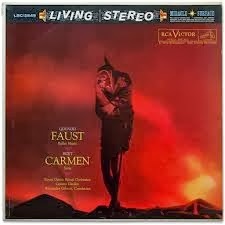 RCA LIVING STEREO SHADED DOG SD ORIG LSC 2449 GOUNOD FAUST BIZET CARMEN 1S/1S Dec-29 18:27 $405.00 MW: I've got the original, first Grundman, and the 1st 45 rpm Grundman Classic Reissue (tubes). I need to compare! AQL: A Living Stereo that I've never owned but have had the pleasure of hearing. I have owned the VICS, which also sells for decent money, and that had pleasing sonics though may have been a touch darker and warmer overall. I'll leave it to MW to review this one and make the comparison with the reissue. 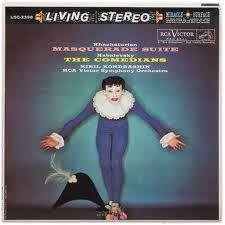 KONDRASHIN / Khachaturian Masquerade/ RCA Living Stereo SD LSC-2398 1S/1S TAS LP Feb-04 21:32 $359.00 MW: I've got the original and the first Grundman, so a comparison is in order. AQL: One of my favorite LSCs, and you can find my review on this site. I paid $20 for mine, so I'm amazed that the 1S/1S sold for this much. Some sucker definitely overpaid, and some seller cashed in here. Price aside, an outstanding album. ALEXANDER GIBSON / Witches' Brew / RCA Living Stereo SD LSC-2225 TAS LP Jan-14 04:58 $350.00 MW: Just the first Classic Bernie Grundman pressing. I've got about 500 Shaded Dogs, but I've not listened to most in quite some time. AQL: Another fine LSC, and one of the more famous ones for certain. Almost always sells for a lot of money. I also owned an original 1S/1S that I was very generously given for free by a close friend and fellow collector. Great dynamics, wide soundstage, and fun music ... what more could you ask for? This is also now available as a Decca Eloquence CD reissue. 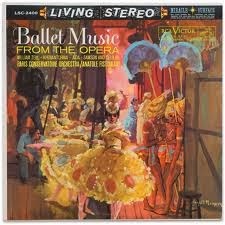 Fistoulari Ballet Music RCA Living Stereo LSC 2400 1S/1S Shaded Dog SD TAS Feb-01 17:36 $305.00 MW: Just the first Grundman. 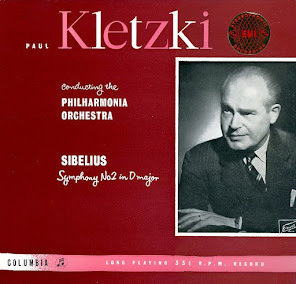 Its worth noting that the Decca recorded LSC feature European orchestras which did not sell well in the USA. 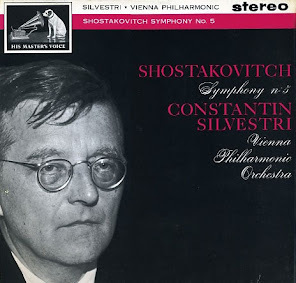 AQL: Yet another one of my favorite LSCs, and one of the few Fistoulari recordings on RCA (recorded by Decca, of course). There's a similarly titled Columbia SAX with Karajan, but this one packs more punch. Got my 1S/1S for $45 at a bookstore in Louisiana in 2004 and have never looked back. RCA LIVING STEREO LSC 1806- ALSO SPRACH ZARATHUSTRA- REINER 1S/1S NM- Jan-24 15:34 $258.88 MW: I've got the original, first Grundman, and the 1st 45 rpm Grundman Classic Reissue (tubes). I need to compare! AQL: Can't say that I've owned this one, but it's on my wish list. 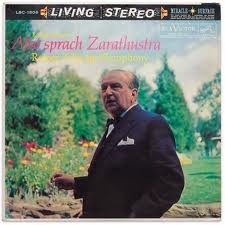 The very first in the RCA Living Stereo classical catalog and perhaps one of the best known performances of Also Sprach among audiophiles. Reissued on SACD by Sony for $11.99. MW: Despite my vast collection, our host actually is much more familiar with the most exclusive shaded dogs as he owns them. AQL: While I used to own most of the RCA catalog, I've dwindled my collection down to about 15 of my favorites. I sold several on Ebay myself to pave way for the Columbia SAXes and EMI ASDs last year, but I remember most of them quite well. I'll encourage Meles to post his own thoughts on the RCAs and reissues that he owns. Here ends another week of LP Week. If your LP money seems to be hair today and gone tomorrow, next week we'll try to make it grow back by giving the bald facts on how to get your LP investments toupee. I would be curious to hear anyone's thoughts on the Decca British RCA SB pressings of the RCA LSC Decca recordings like witches brew and ballet for opera. Shut me down. Decca pressing Decca recordings on RCA. How perverse. Very interesting question. I have seen a few of these in London, but they have always been extremely pricey, comparable usually with the original US pressed RCA's.. 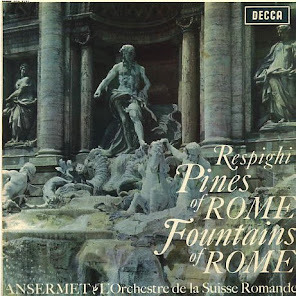 The only early RCA SB I have is the Pines and Fountains of Rome which I had hoped would be comparable to the 1S LSC2436 US pressing - it isn't. Of course that is not a Decca engineered record. I do have quite a few of the Decca SPA and ECS issues of the early Decca engineered RCA LSC's which reverted back to Decca ownership after the 10 year license time that RCA had. One of them is SPA122 which is the reissue of the Sibelius Symphony 5 and Karelia Suite with Alexander Gibson and is a TAS SuperDisc. I think it is quite fine - and cheap. The SPA175 Danse Macabre, also Gibson is basically Witches Brew plus one more selection and has excellent sonics. I think mine was 10GBP, compared with $250-400 for a clean LSC2225 Witches Brew. There are a bunch of Decca issues, all cheap. sometimes dividing up albums. I have almost all of the original RCA US pressings, but often paid a lot for them. What is generally true for me is that the Classic Reissues, which I also bought when they first came out, are often quite tipped to the high frequencies. 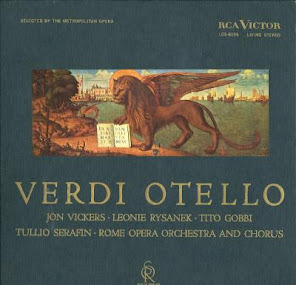 The Solti Venice is like that compared to the original. Decca also has a bargain priced reissue which was also released as a full price London. All of the Decca/London reissues of the RCA's were done in the transistor era versus tubes for the originals. Licensing is complicated now since the recordings are owned by Universal and RCA is owned by Sony. 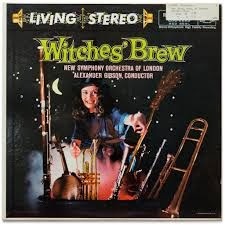 Not sure how Classics got Witches Brew, Venice, the Reiner VPO Strauss, etc for their Brit Boxes. Chad Kassem owns Classics but he doesn't have any of the Decca engineered recordings on his list of RCA reissues. I'd have to agree with you about the Decca SPA and ECS reissues. I have the reissue of Walton's Facade with Anatole Fistoulari, and it sounds every bit as nice as the original shaded dog, which I've also owned. These are very affordable, even if purchased from the UK dealers, and represent an excellent alternative to the much higher priced originals. Another nice thing is that Australian Eloquence has reissued many of these Decca/RCA hybrid recordings on CD at mid-range prices. I've got the Witches' Brew and Gibson's Faust, and while they don't have quite the magic of the LP, they are nonetheless enjoyable. Even Jean Morel's pricey recordings of Iberia and Bizet's L'Arlesienne Suites have been reissued. I've done comparisons with a lot of the treasury series STS and preferred the Classic Records or the original RCA, but perhaps my titles were not quite the power houses you two have mentioned. I'd really like to hear what those can do on London. I am sure they would crush the original in the bass. The Decca would not be EQ'd, while the originals and Classic's had the RCA touch. Have either of you compared these particular records versus the Classic Records reissues? One thing that I forgot to mention is that I find the Classic 45 releases to be very fine, in general much better than the 33's. 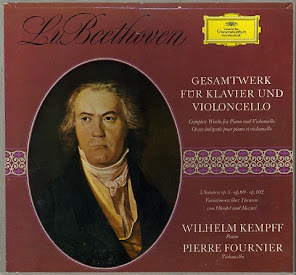 The Iberia is a good example as is the Ansermet Ballet Box and the Faust/Bizet album. For some reason, most of the other Decca engineered RCA's did not make it to 45's. I've been listening to a number of these and the original pressings. In the distant past I've preferred the original solid state Grundman 33's. I hated the new tube mastered Grundman 33's with the Heifetz Tchaikovsky VC1 being a distinct disappointment. I've not been overwhelmed with the 45's I have (mentioned in the post) because they too are these tube pressings. To cut to the chase, I've heard the Heifetz on the Quads and it was very nice. I played it late last night and still was disappointed. LSC 2430 Rubinstein Paganini has been listened to here and on the Quad system. The differences between the systems are mind boggling. The Quad particular stunk with the original 1S pressing I've loved these many years, and yet could do no wrong with the Classic 33. Here the original was quite euphonic, but it could work its magic. My copy of the Classic 33 is solid state (not sure the Quadophile's Classic vintage) and it exceeded the original nicely, but you could here some small issues with the Classic pressings that many have discussed. I am very curious to get to the bottom of these differences between the two systems as perhaps it will identify some area I can improve. I think later Classic did Quiex 200 gram pressings and who knows what Grundman was up to at that point with this mastering chain. I prefer the classics to the originals and I hope to eventually here Chad Kassem's new efforts. Many still love the originals, but it is very system dependent. On mine, the originals still have their pleasantries. On the Quads, it was scary how bad they sounded. Very weird. I think Tom Port of Better Records has stated that the Classic reissues were shameful in the amount of bass and treble boost done. To my ears, it is quite the reverse. Original RCA's are just weak in these areas and all you have to do is compare with the EMI or Decca recordings to see that. The RCA midrange euphony is not accurate or real, nor are many tubey sounding systems for that matter (but tubes done right and tight are awfully good). I just checked m database, the problem with being old and having a big collection. I do have one SB which is a Decca pressed Decca engineered RCA. 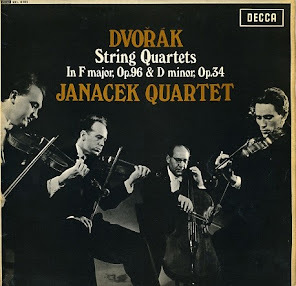 It is the Dvorak Slavonic Dances with Martinon conducting the LSO. It is LSC-2419 or SB-2115. My SB is a test pressing, two one sided records, with the typical Decca markings in the deadwax. I haven't heard the records in a long time, but I remember the original is one of the great sounding records, so it will be a nice comparison. I've just got the original Classic Records 33 of this. The difference between a Blue Back and a Shaded Dog are significant. I believe Decca was told to EQ like RCA did here in the US, but I've heard the engineers ignored this. I would love to hear that a Decca Blue Back disguised as an RCA in theory. It should thump the RCA. I hope to have some time for a mini shoot out this weekend. I have bought the first 3 RCA's that Chad has put out (you can get them at 10% off from Chad or Music Direct pretty frequently). I am super pleased with these - better than the originals or my Classic45's. Unfortunately, it doesn't look like any of the first 25 are the Decca engineered ones. Given the split of Universal (Decca) and Sony (RCA) it probably won't happen. Miles, thanks for explaining the changes in the Classic issues. I bought them all when they first came out, including the special 10 album collector edition boxes with low serial numbers. Never very happy with those, until the 45's came out. 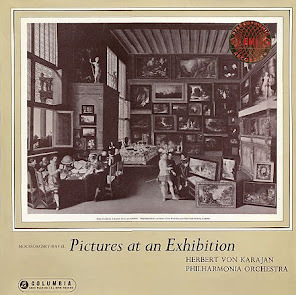 Then there were all the other versions (I even have two sets of the Royal Ballet and Belafonte at Carnegie Hall and the Weavers at Carnegie Hall their 45 RPM versions!). Could never figure out what the differences were until your posting. I here Chad's pressings over the last few years are out of sight. My friend the Bassophile likes to show off with these. I am going to make a point of hearing one here. Quadophile has recent ref rec done by Chad I think.